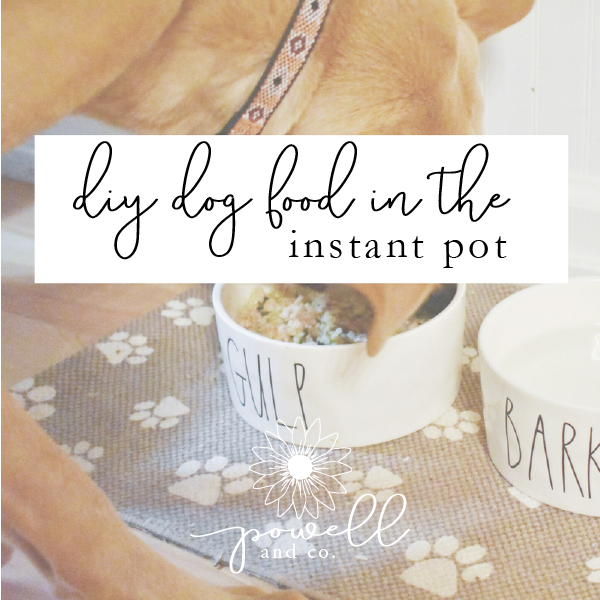 DIY Dog Food in the Instant Pot — Powell & Co.
It’s been almost one year since my husband and I decided to rescue our sweet puppy girl, Luca. Being a pup parent has been such a fun, rewarding, and, at times, challenging experience. It’s also been kind of ...expensive. When she was still a pup, she developed a rash on her belly. We made sure we kept her clean and applied topical ointment to the rash, but it didn’t seem to help. My boss is the president of a pet rescue and a dog expert. She told me to try a grain free diet to see if that would clear it up. Sure enough, going grain free did the trick! I was so relieved to find a solution, but I wasn’t exactly thrilled at the price tag some of the “better” grain free dog food brands came with. I was spending close to $100 a month on food alone! I went shopping at a local “cost plus” food store. I spent around $20 and got 5 lbs of ground turkey, 1.4 lbs of sweet potatoes, a 3 lb bag of brown rice (a grain that doesn’t seem to bother her), frozen peas, frozen spinach, frozen chopped carrots, and frozen broccoli. Add veggies, brown rice, water, and then ground turkey. 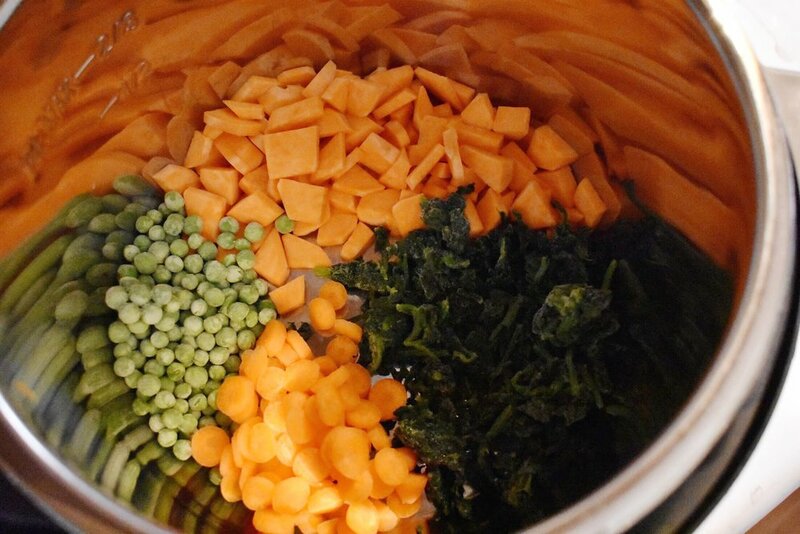 Cook in Instant Pot on high pressure for 25 minutes. Turn it off when it’s finished and let the steam naturally release. All done! Portion out the proper servings for your pup. Luca is about 50 lbs so she gets three cups of food total per day. It’s important to note that your dog will also need calcium, so this bone meal is a great add in! I also scoop a spoonful of coconut oil in to help her skin and get her some good fat. Luca absolutely loves this food. I hope your pup does, too! Got a good dog food recipe? Drop it in the comments below! I am not a veterinarian or dog expert, just a "granola" puppy mama. Consult your vet before making changes to your dog's diet.